This entry was posted in Ireland Immigration and tagged Ireland Ireland Immigration Ireland Student Visa Ireland Temporary Visa Ireland Work Visa Irish Green Card Migrate to Ireland Permanent Visa Ireland Settle in Ireland Visa visa Ireland Work Permit Visa on September 27, 2013 by Blog Author. Immigration in Ireland has increased in popularity tenfold in the last decade, with people migrating there for work in the busy tourist spots such as Dublin or Belfast or to set up their own businesses and live a better life in the quieter more picturesque towns such as Cork and Kerry, research shows that many never leave and say it is the best possible thing they could have done for their families. Ireland is well known for its history, landscapes and ‘craic’ it has something for everyone and whether you’ve Irish ancestors or just love the place it will almost definitely live up to your expectations. The first thing you need to do is to decide what kind of migration programme you wish to opt for, is this going to be a permanent thing with no looking back, are you wanting to temporarily work in the country or go there to study? Irish visas examine the skills, experience and qualifications of those wishing to live and work in Ireland. However, unlike making a visa application in countries such as the USA, Canada and the UK, Ireland does not impose points based assessments on potential migrants. 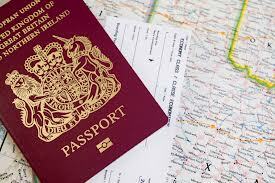 You can apply for a Temporary Visa to enter Ireland on the basis you will be residing there no longer than 3 months. Under a temporary visa you are not permitted to work in the country. This is the most popular option for people who wish to travel throughout Ireland; Irish nationals welcome tourists as they’re a great boost to the economy and are seen as no threat. There are three categories within the Long Term Visa and these are the Irish work permit, The Irish Green Card and the Intra Company Transfer. Although named Long Term Visa’s these are only for as long as the guaranteed job runs for, when the job is done the visa expires and to receive a Long Term Visa there must be a guaranteed job for you to go to. Irish work permit functions as a long-term immigration route designed to allow Irish companies to employ foreign nationals to perform a specific job. In the same way, Irish Intra Company Transfers follow the same principle as UK ICT’s, designed specifically to allow a company to transfer the skills and experience of staff from a foreign branch for an agreed period in order to undertake a specific position or project. However, unlike the USA Green Card, the Irish version is not in itself a grant of permanent residence. The popularization of the term Green Card when referring to the US immigration route can make the term Irish Green Card seem misleading; although Irish Green Cards may ultimately lead to the opportunity to apply for permanent residence and in time a grant of Irish citizenship, they in fact function much like working permits and are no guarantee of permanent citizenship. An Irish Student Visa will be in function for the entire duration of your study period. To gain an Irish Student Visa you need to have a place on a full time course already guaranteed for you, the visa will b granted for you for the time it takes to complete the course you are wishing to take. These are temporary visas and not intended to be used for a long period of time. There is, however, a Graduate Programme where some students may be able to remain in Ireland after their study period where they switch to a permit of work if they have an offer of employment.